Our TM44 inspections are gaining recognition as an excellent tool to help you identify energy-saving opportunities. The costs are often recouped when new and low cost measures identified during the inspections are carried out. For air-conditioning systems, in England, Wales & Scotland, where the effective rated output is more than 12kW the first ACEA inspection should have been carried out. Inspections must be undertaken at least every five years. We are currently undertaking Air Conditioning Energy Assessments for clients throughout the UK. Our team of dedicated Air Conditioning Energy Assessors / Engineers throughout the UK produce reports to the highest standard. As you may know, all buildings with a total output of more than 12kW of air conditioning should have completed an Air Conditioning Energy Assessment by 4th January 2011. If you control the operation of an air-conditioning system affected by these Regulations, it may be your responsibility to ensure an inspection has been done in accordance with the requirements and timetable of the Regulations. There will be a fine of £300.00 on a reoccurring basis for non-compliance of this legislation. The effective rated output is the maximum calorific output in kW stated by the manufacturer of the system (maximum cooling capacity). One or more air-conditioning units within a building controlled by a single person are considered to comprise a single air-conditioning system for the purposes of the regulations. All units should therefore be calculated together to give the effective rated output. Example 1: Building A has 10 Single Split Systems rated @ 5kW each. 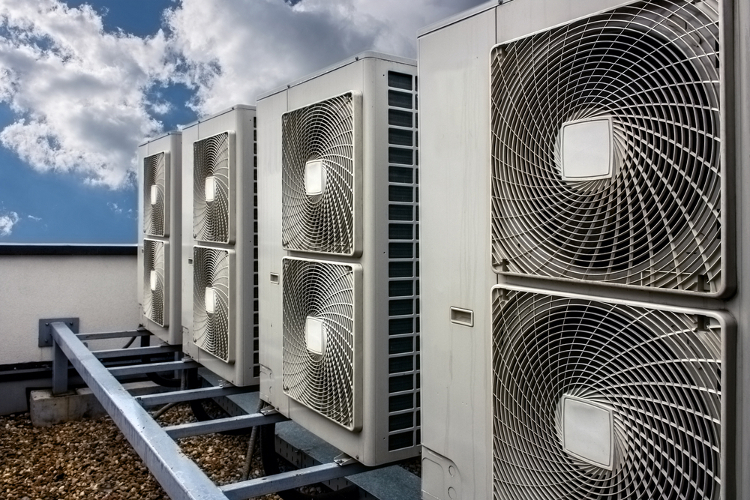 An air conditioning equipment asset list for each completed report. A projection of the operating costs for each individual system. A projection of the operating costs for the whole site. A projection of savings gained from each recommendation. Energy label and EER (Energy Efficiency Ratio) table. Occupancy hours versus time schedule wastage projection table. Standard of maintenance overview table. AHU (Air Handling Unit) sizing table. AHU efficiency / SFP (Specific Fan Power) Table. Our team of assessors also undertake Energy Saving surveys, including; Energy Saving Opportunities Scheme (ESOS), Display Energy Certificates (DEC) and Non-Domestic Energy Performance Certificates (NDEPC).